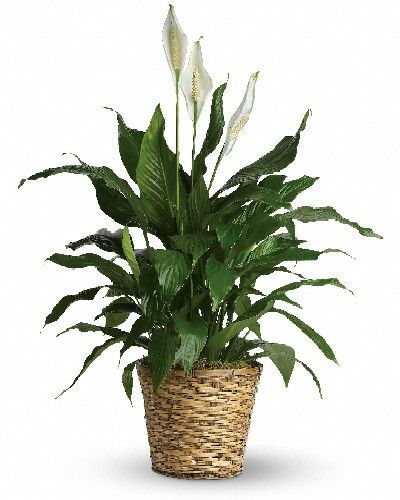 Spathiphyllum or "Peace Lily" in a hand woven basket. Perfect for any home or office. Approximately 30"-36".